I know that the actual majority of my subscribers don’t even open my emails. A good 60%. You opened this one, but are you reading it? You’ve made it to the third paragraph so I’m going to go with yes on this one. And are you opening and reading every single one? Probably not. (If you are, please hit reply and tell me why. I love to know what keeps you reading). But here’s my thing: why does that even matter? It doesn’t one bit for me. 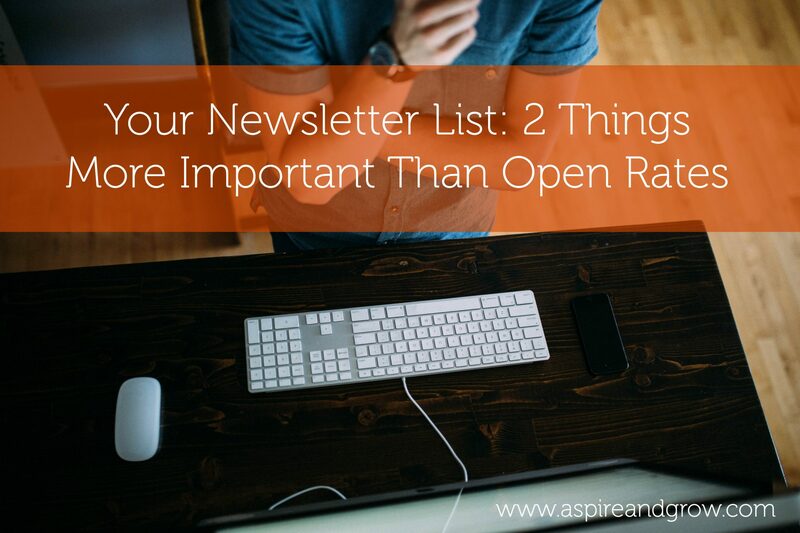 And I’m going to tell you why your open rates shouldn’t matter for you and what really should. See, while your subscribers might love every word you write, you aren’t making the connection between your words and your business unless your readers are clicking thru to your website. Secondly, your readers could be doing exactly what I am and batch reading your posts by clicking thru from one post and then reading several on your blog all at once. It’s a time saver for them and you’ll see those results in your Google Analytics (more on that next week). Long ago it was discovered that the world is not flat. Well, neither is your business. You can’t take things for black and white. Dig in. Learn about your people. Connect with you community. See the (entirely un-flat) whole picture. And don’t let those open rates get to you (but, hey, thanks for reading this today).